For a showstopping bathroom that ticks all the boxes, a freestanding bath can certainly add a touch of glitz and glamour to proceedings. You may think your bathroom layout is too small for a freestanding bath, however, you'll discover a wide variety of designs that can fit into a compact space. With such a large choice of designs, you may even struggle to choose between them all. A handy hint would be to choose what style bathroom you would like and that way you can knock a few options off your list. The obvious place to start is to choose whether you want a contemporary, traditional or modern style bathroom. From there you can narrow your selection of baths down. Do you want a one piece bath or one that has feet? Do you want a square or curved design? Would you prefer a slipper bath? What kind of tap(s) do you want? Will it need to sit against a wall? Let's take a look at different styles of freestanding bath, to see which are most popular amongst our customers. If you’re aiming to achieve contemporary look and feel, the Harrison freestanding bath is a good example of this type of style. With its beautiful curves, it’ll provide a delightfully deep and luxurious soak. If it’s a more classical style you’re looking for why not choose a traditional roll top bath like the Dulwich roll top bath? This comes with a choice of white or black finishes and features intricately detailed feet with a ball and claw design. 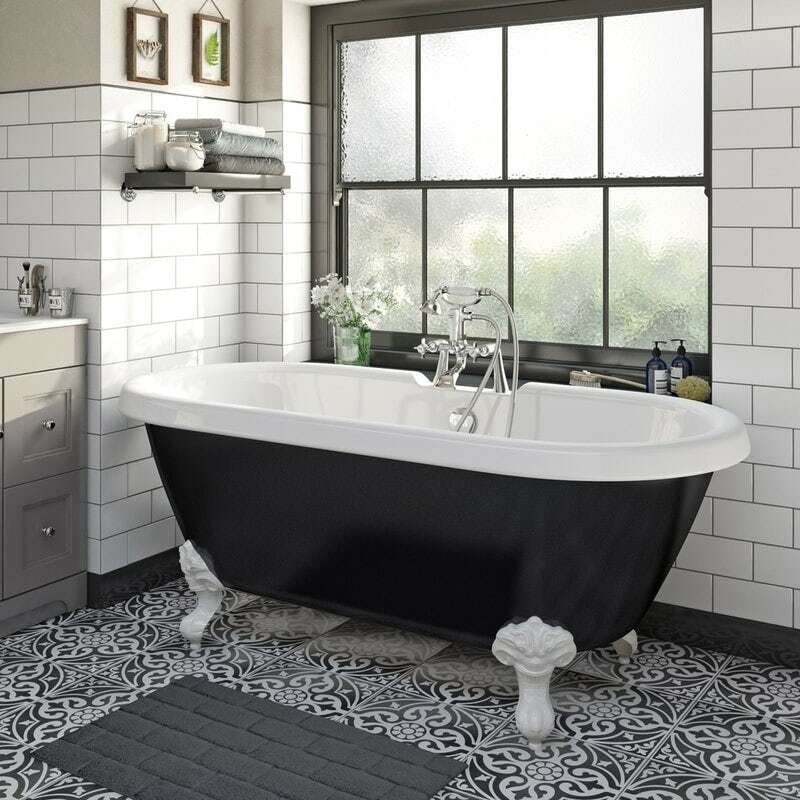 Dulwich black roll top bath from The Bath Co.
A slipper bath has one end higher than the other and you can choose between a traditional design with the Winchester slipper bath, or a more contemporary take on this style, with the Hardy freestanding bath. Winchester roll top bath with ball and claw feet from The Bath Co. Need to position your freestanding bath against a wall? No problem. We’ve got just the solution with the highly contemporary Carter back to wall bath (pictured below). Why not take a look at the full range of freestanding baths available at VictoriaPlum.com and make up your own mind? 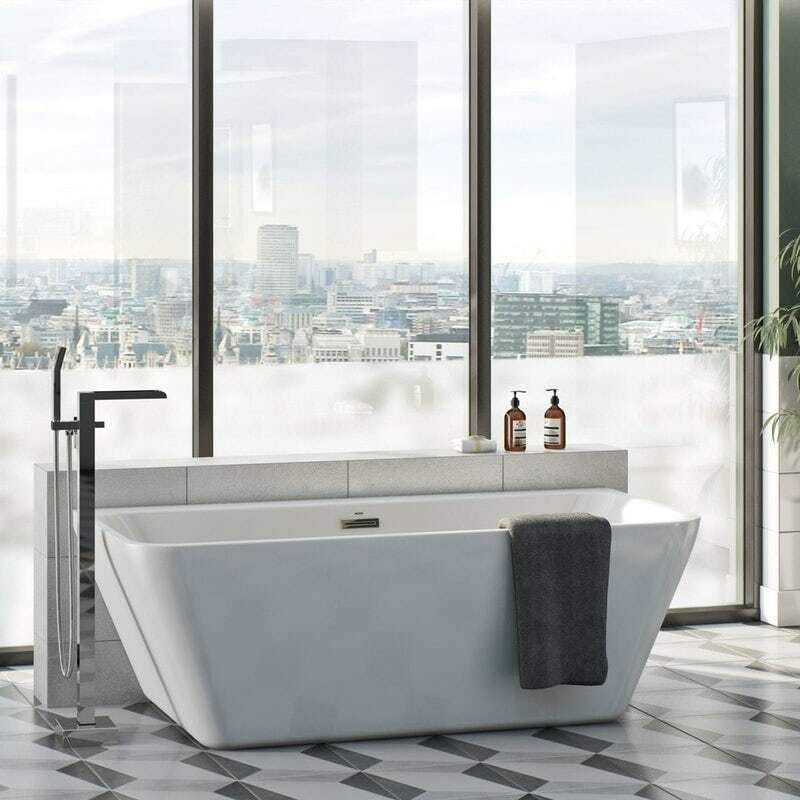 When you want to create a beautiful and luxurious bathroom, there’s no better choice than a freestanding bath. Whether your room is contemporary or traditional in style, a freestanding bath adds that extra special touch. This guide will give you an introduction to freestanding baths. 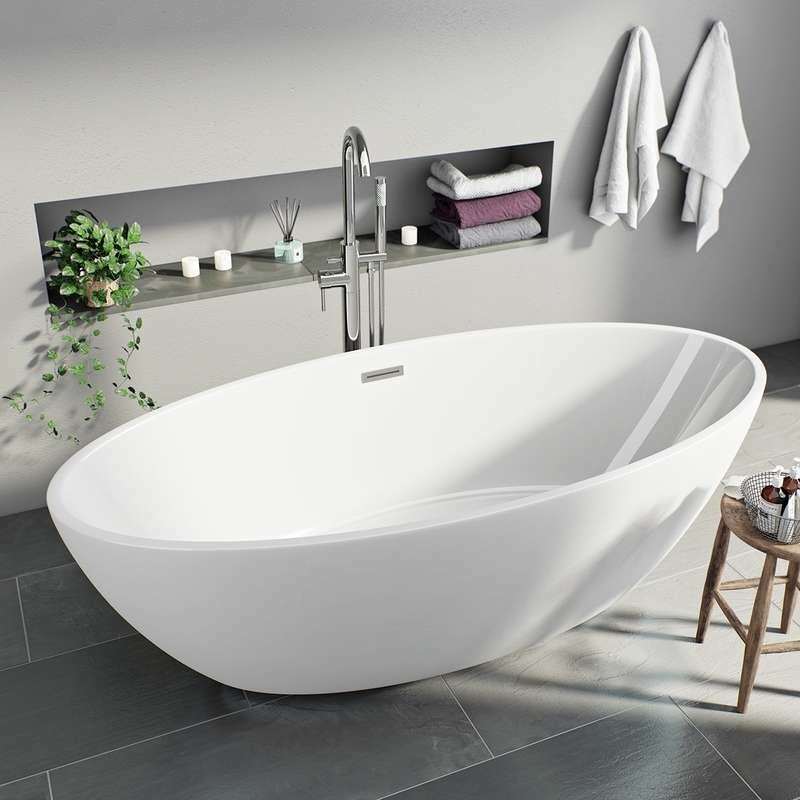 Looking to add a beautiful freestanding bath to your bathroom? We’ve pulled out 4 of our absolute favourites, so why not cast your eyes over these bathing beauties before making your mind up? What exactly is a slipper bath? 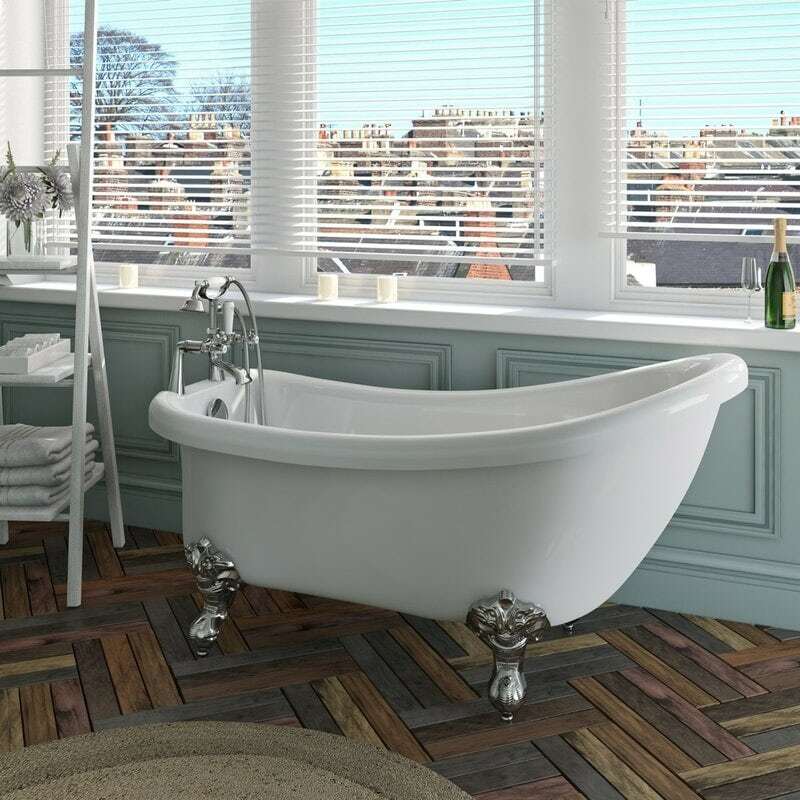 We examine the history and origins of the slipper bath, discovering how this popular freestanding bath style has made its way into contemporary bathrooms.